This post hurts the soul a bit. The time has come with me to part with my current system and rebuild. I will add pics tomorrow (ironically my personal computer is at the office). While the prospect of building a new system excites me, parting with some of these is gonna hurt. 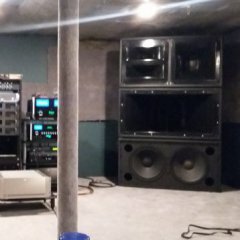 I put this system together in 2012 while living the single life. Last year, I went and did the unthinkable. I got married! While the wife has been accommodating for awhile, our recent move has soured her forgiving mood on the big toys. I need to downsize (but not too much ). 2012 Jubilees (Cherry finish) w/ K402 horns: $6500. These come with the original K-69 drivers. Still have original boxes and shipping materials. I purchased these in 2012 from the factory (original owner). The boxes have some wear from 2 moves but the speakers are perfect. TAD TD-4002 drivers: $1500. These REALLY make the 402 horns sing! If purchased together, will part with the Jubs/TAD combo for $7500. The Jubs come in the cherry wood finish and have no blemishes. 2011 LaScala II (Single): $2500. Also in cherry, used as part of JubScala center in my setup. No scratches anywhere. MINT condition. Also ordered from factory. Again box is a little beat up but the unit itself is perfect. 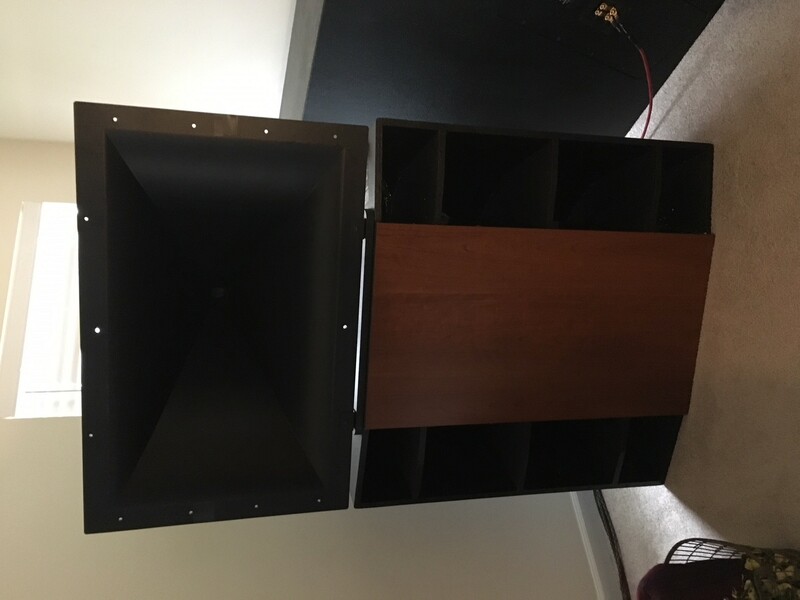 Danley DTS-10 (qty 2): $1000 for the pair. They perform flawlessly, but the cabinets are not pristine. They have been through 2 moves and did not receive the love that the Jubs/LaScala did. Thankfully they're built like tanks. Never dropped. KPT-200 pair: $200 for the pair. Used as surrounds in my system. Located in Seattle. Can deliver a considerable distance (I like road trips and the holidays are coming up), or can arrange shipping with prospective buyers. Pics coming your way tomorrow! Only have a few pics for now. I'll have to go through some older photos. Just curious... what diaphragm is in the 4002's? Too bad shipping would kill me, I would love to hear those KPT-200's. Any chance you can PM me shipping estimates? If so, please do. Thank you in advance. 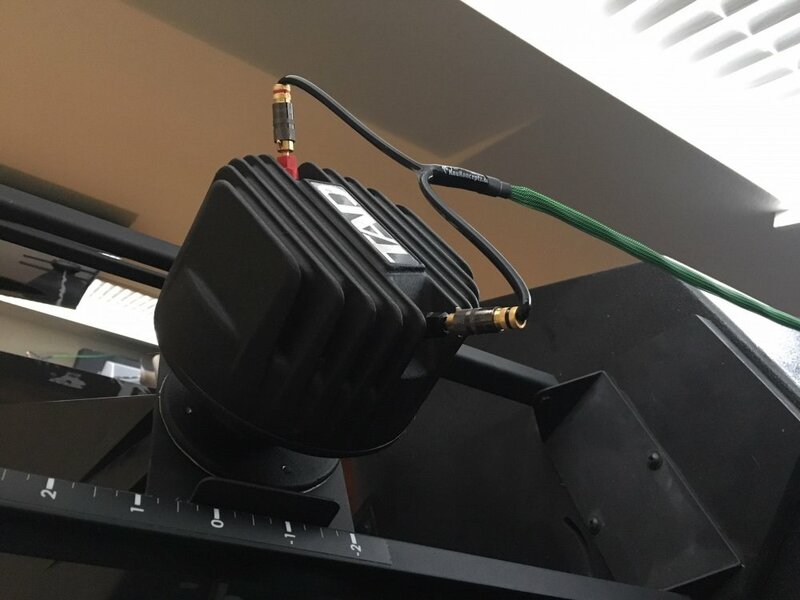 Oh my, dual DTS-12 in Youthman's theater room. Too bad you are 3100 miles from me. I would love to hear a DTS-10. I can imagine a pair sounds amazing. Best wishes with the sale. Sorry you are having to downsize but with that kind of cash, you can get one heck of a setup with the money from the sale. What kind of networks are you using for the Jubilees? Thank you. Looks like the DX38 from what he's selling. 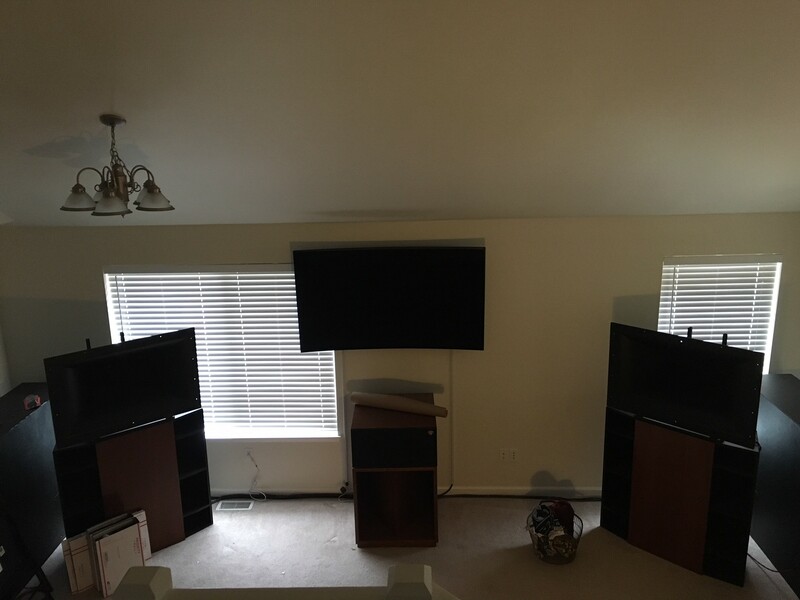 Are these setup for listening? I have never heard jubs and have been very curious about how they compare to klipschorns. 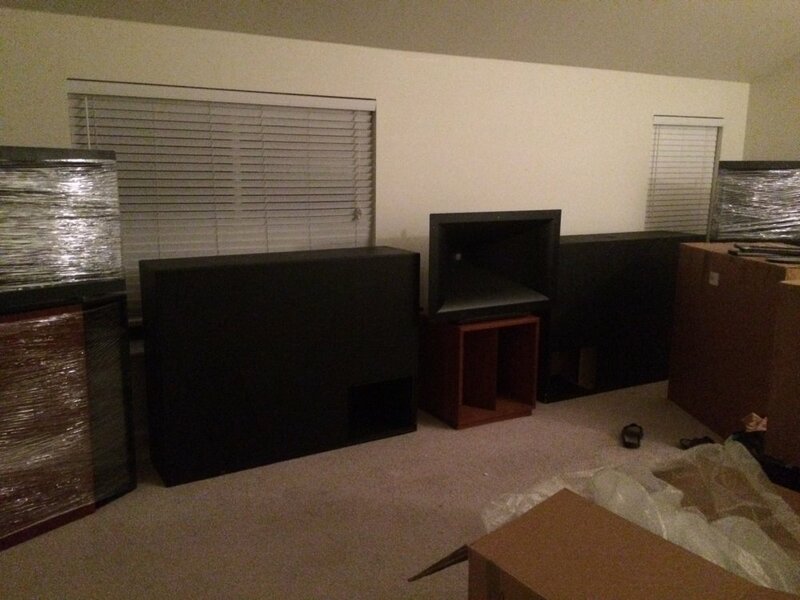 If the difference is as noticeable as some say, I may pick these up from you and sell my current setup. Cool, thank you. I'm waaaaay out of the loop with these fancy active networks, so I wasn't 100% what the DX38 was in the items list. Anyone planning on making a drive from Washington to Wisconsin any time soon?!? Would you ship to Belgium? Very interested! Also in your pair of K-402, but I'm guessing youre not selling those horns seperate from the bins? Time to dive deep in Schu. No too far away for a roadtrip. Pretty sure he goes Beryllium. i dont think you could get any further away from this sale. you guys can meet in the middle at my place? Some of the best asking prices I've seen. Good luck with the sale... there's still time to do a prenup and include this stuff in the small print?? Pm sent on the TAD's. Ouch , soo glad you are on the other coast . Great prices , I'm sure it will be over soon . Never had the chance to hear Jubes but did experience forum member TRagusa's 3 LaScala 4 Heresy 2 DTS-10 home theatre . Those subs move your internals around and could be hazardous to your health . They can also cause issues with the home they are in , seriously . You place is made out of concrete block right? Anyone interested in buying the pair of jub bins? I'm interested in (all) the K-402 horns, but not in the bins. So would anyone be interested in splitting the jubilees?